Some McDonald's workers claim that they've been hurt on the job due to unsafe working conditions. Over the past two weeks, 28 workers in 19 cities filed complaints against McDonald's about injuries they suffered on the job. Many say they've been burned on bubbling cooking oil or hot grills, a union-backed group said Monday. The group "Fight for $15" has been organizing worker protests for the past couple of years, calling for higher pay. It launched a petition Monday calling on the Department of Labor to investigate working conditions at McDonald's. One Chicago worker, Brittney Berry, said she slipped on a wet floor, catching her arm on a grill. She said her forearm suffered a burn and nerve damage. "The managers told me to put mustard on my arm, that's it. But I ended up having to get rushed to the hospital," Berry said. She missed three weeks of work without pay. "We will review these allegations," said McDonald's spokeswoman Heidi Barker Sa Shekhem. She said all of McDonald's 14,000 locations are committed to providing safe working conditions. She also added that the complaints "are part of a larger strategy orchestrated by activists targeting our brand and designed to generate media coverage." The complaints were filed with the Department of Labor's Occupational Safety & Health Administration. Any worker has the right to file a complaint with the agency against their employer if they believe there has been a violation of a safety or health standard -- within 30 days of the incident. 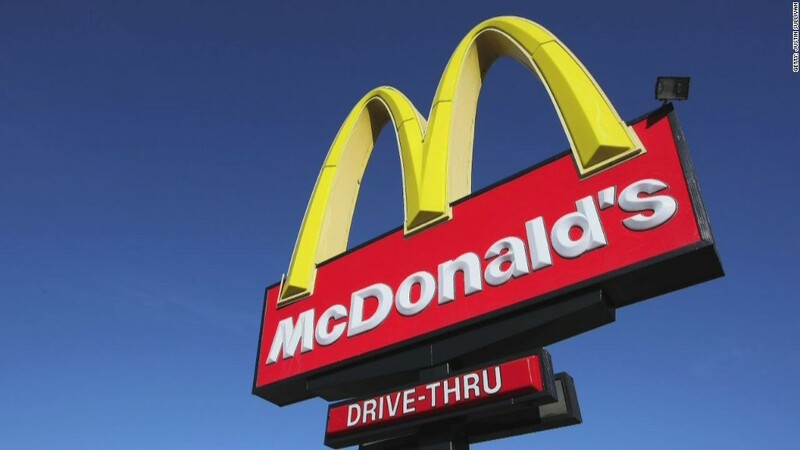 McDonald's (MCD) would not say how many workers have filed OSHA complaints in the past year. The Department of Labor did not return a call asking for comment. Burn injuries are a widespread problem for fast food workers, according to a survey of 1,426 industry workers released Monday from the National Council for Occupational Safety and Health. Four in five said they had been burned on the job within the past year, and more than a third of those said pressure to work quickly led to the injury.